If I was ever to be arrested and interrogated it would be for this . . The ridiculously bright light was shining on my face and burning my eyeballs. Kind of like how I burned my eggs this morning. “At home, eating a Nutella sandwich. Life in prison is fun. Here’s a list. It lists things. Some have descriptions. Some don’t. That’s life. go up to a random stranger and ask them for the time. When they answer tell them its the wrong answer. pretend to be be a wandering philosopher and ask everyone you meet where the darn oatmeal is. 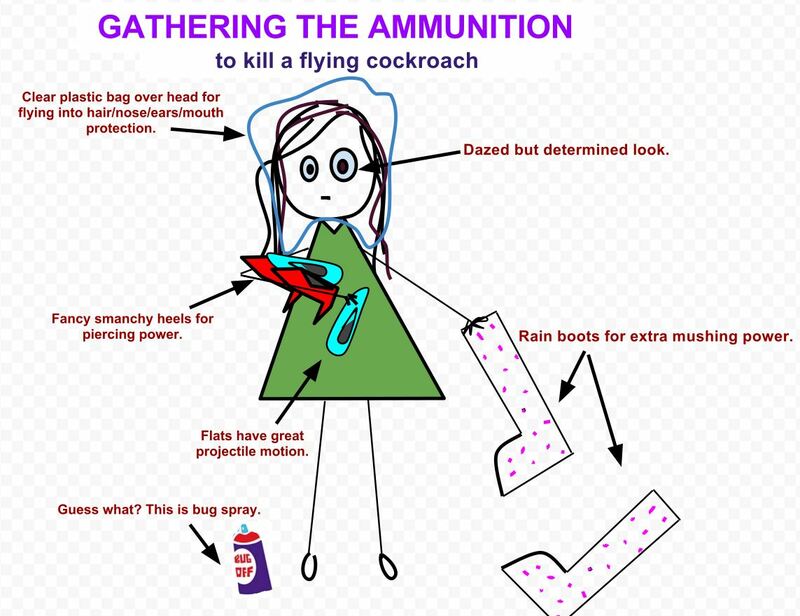 It’s absolutely alright to kill a flying cockroach because those things deserve no compassion. We can all agree that terrible is a terrible thing and that terrible needs to go away. So by killing a flying cockroach you make the world a much better place. Someone who has clearly never been attacked by a flying cockroach: But flying cockroaches have feelings too! Me: No. No, they don’t. 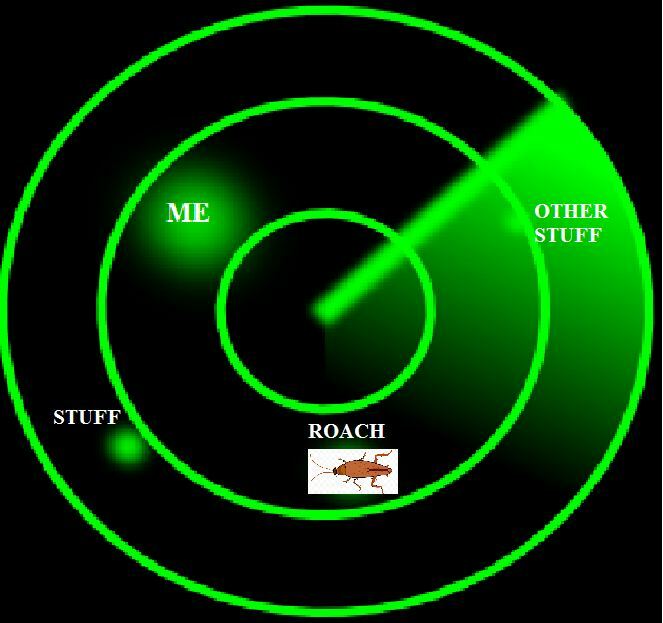 In fact, there is NOTHING you can do to a flying cockroach to make me feel bad about mushing it. 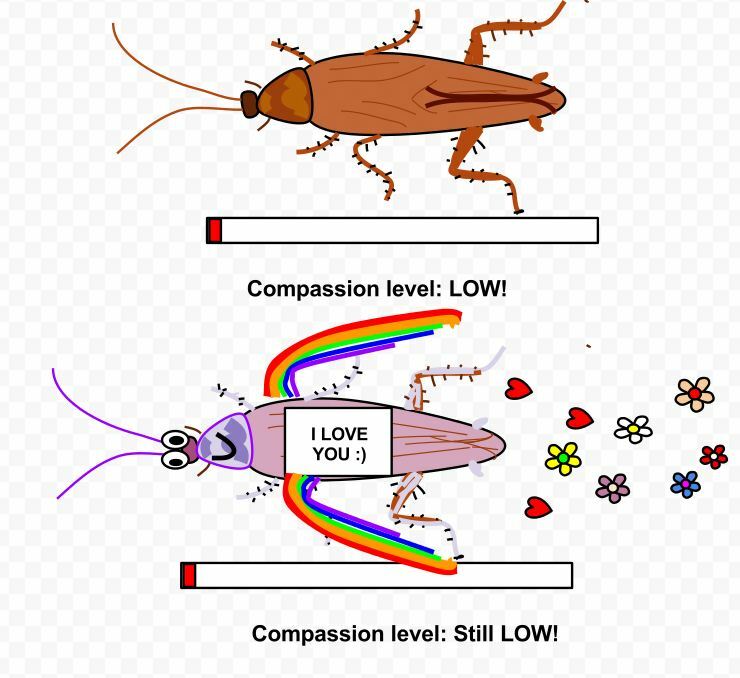 That’s a purple cockroach with rainbow wings and a “I Love You” sign. I will still kill that thing. Even if it was pooping out hearts and flowers. Even if it knew where the unicorns are. 1) Upon spotting the flying cockroach scream. Then run away while shaking your hair and swatting the air violently. 2) Call someone for help and make THEM kill it. 911 operator: What seems to be the problem? ME: There is a FLYING COCKROACH IN MY ROOM! 911 operator: Then you will have to call an exterminator, I cant help you with that . .
ME: Yes you can! COME KILL IT!! 3) When the person says “NO” because they’re somewhere stupid like work (thanks mom and dad), gather the ammunition. 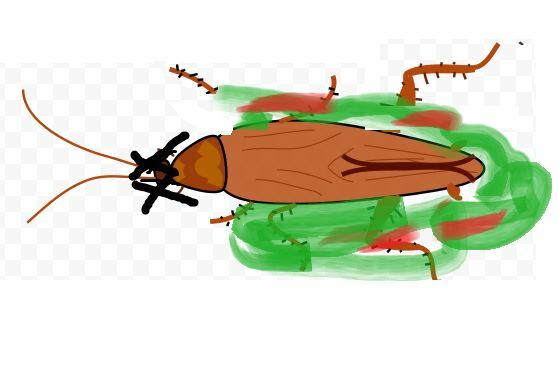 4) Slowly approach the roach’s flying zone. 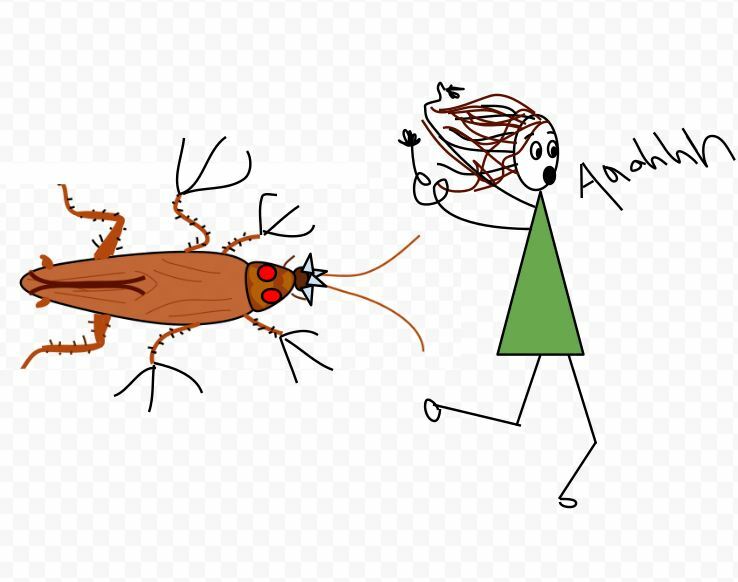 5) Yell motivational sayings and reasons why you are NOT afraid of that roach. I’m bigger than you! I’m like very tall too! I don’t even care if you fly into my mouth because that won’t kill me probably. Also I have a plastic bag over my head so you can’t fly into my mouth anyway!! DIE DIE DIE DIE DIE!!! I’m NOT SCARED OF YOU!! I’m the tallest girl in my school!! Oooohh whatcha gonna do? Fly at me?!?!?!? 6) ATTACK AND MUSH THAT MOTHERCLUCKER!! Congratulations, you have made the world a slightly better place. Dear Daily Blogging, I QUIT. Thanks. F0ur score and 25 days ago, right around final exams crazy time, I decided to blog everyday. Because when time gets even scarcer I think of more time consuming things to do. Around the the 11th day of my “daily post” challenge I started to dread it. It was hard to write something everyday especially when you’re a lazy bum face like I am. Hmmm what should I write about today? Oh look there is a cup! Cups Are Cool Maybe. Probably? Even! Cups are cool and sometimes they are purple. If you throw a glass cup really hard it will shatter into a bazillion pieces! Can you imagine a world without cups? I sure can’t! Those things are like an important component of the fabric of life as we know it. I mean think about it, if you had five cups and I had a pet bear and llama cross breed we would both probably enjoy picnics at the beach. And maybe eat a sandwich . . . So I decided to stop the daily challenge. Just like that. Wussyyyy. You can’t handle it. I can handle it! I did it for 11 days! 11 days? Wow someone get this girl a metal or better yet get her a rutabaga. She definitely deserves it. Okay fine, I won’t stop today but only because its the 11th day and 11 is an awkward number. I’ll stop at 25 because that’s half of 50 and quarters have that number. Yesterday was day 25. I’m not suppose to post today. Today is a post-less day. Except at 11:15 PM I began to panic. I should at least tell all my 4kbillion readers about my decision that can possibly completely alter their lives. I’ll post it on twitter. Except nobody looks at my twitter. DAMN. Why I’m I being panicky?? I NEED TO POST SOMETHING!! IT’S ALMOST MIDNIGHT AHHHH!! No I’m suppose to stop. I cant I NEED to post. Hello don’t you remember? It takes 21 days to form a habit! That’s why there are 21 cigarettes in one box! So people can get addicted! You’re like a smoker now!! 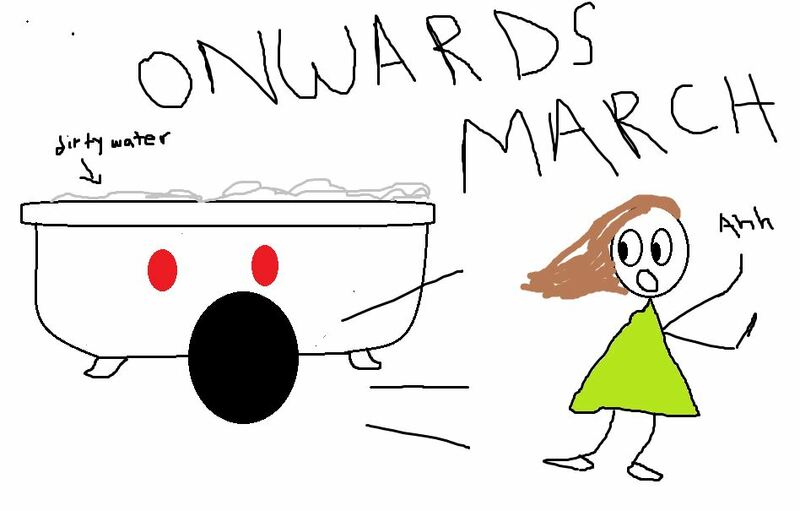 Wow I just got a really funny picture in my head of me as a smoker but I can’t draw it because I’m running out of time! I still need to put this in a category! AND TAGS!!! and oh MY GOD someone please help me!!! I’m getting chills and cold sweats and maybe I’m having a panic attack, maybe . .
UPDATE: NOOOOOO. NOO NOO. WORDPRESS ughhh. I PUBLISHED THIS ON MAY 16 at 11:59 PM. Why does it say May 17th? Excuse me while I break down and cry. UPDATE 2: Okay everyone, let’s all use our powers of imagination and pretend that it actually says the 16th not the 17th. There problem solved! UPDATE 3: NO no no no no no no no no . . . .
UPDATE 4: Dear WordPress, If you change the date on this post to what it’s actually suppose to be I’ll give you my last jar of Nutella. 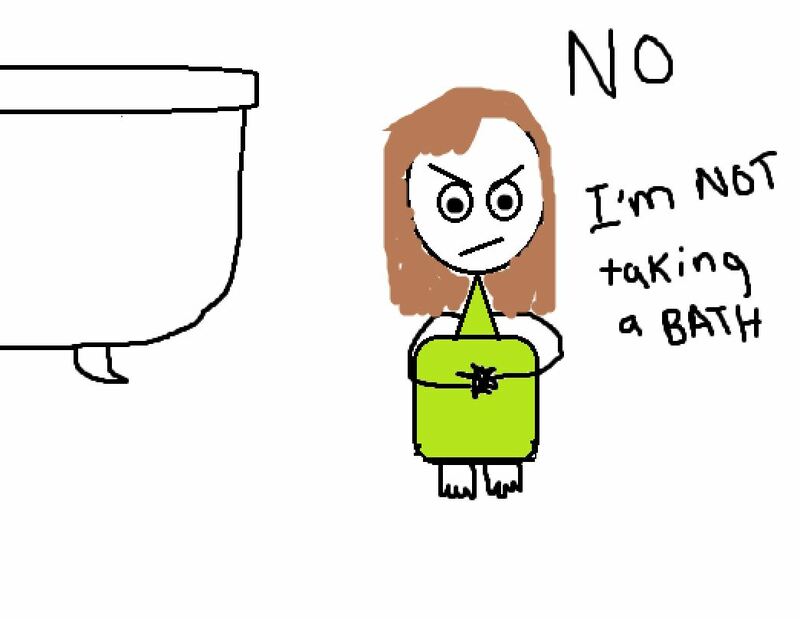 There was a time in my life where I was too terrified to enter a bathroom. Not because bathrooms were nasty and smelled bad but because faucets, sinks, toilets, and bathtubs. MOM: faucets, sinks, toilets, and bathtubs? MOM: How are they scary? ME: Well didn’t you ever think, while sitting on the toilet, what if this toilet needs to talk? 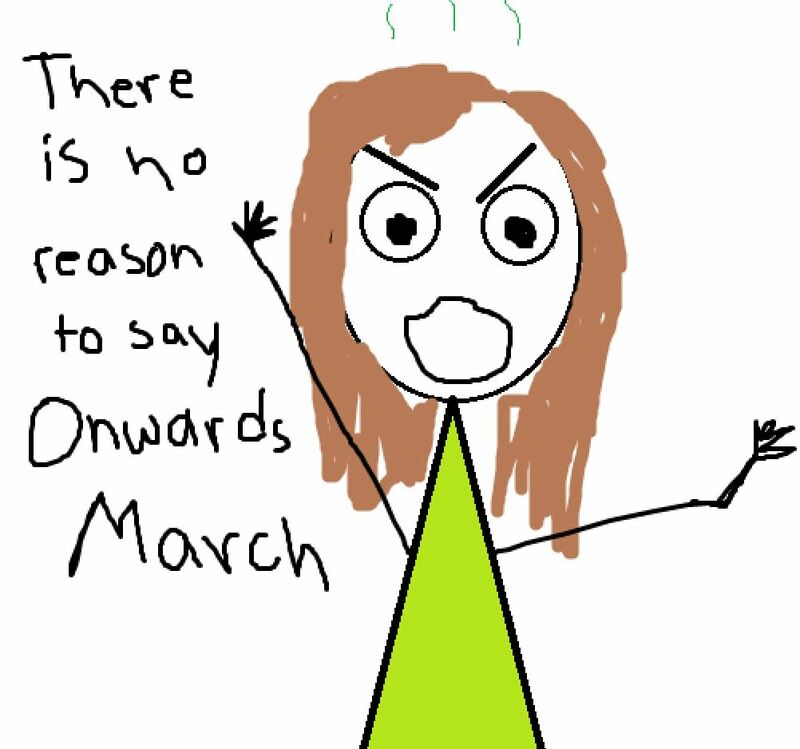 And what if it needs to say “onwards march” and then it accidentally swallows you and you drown in the dirty water. 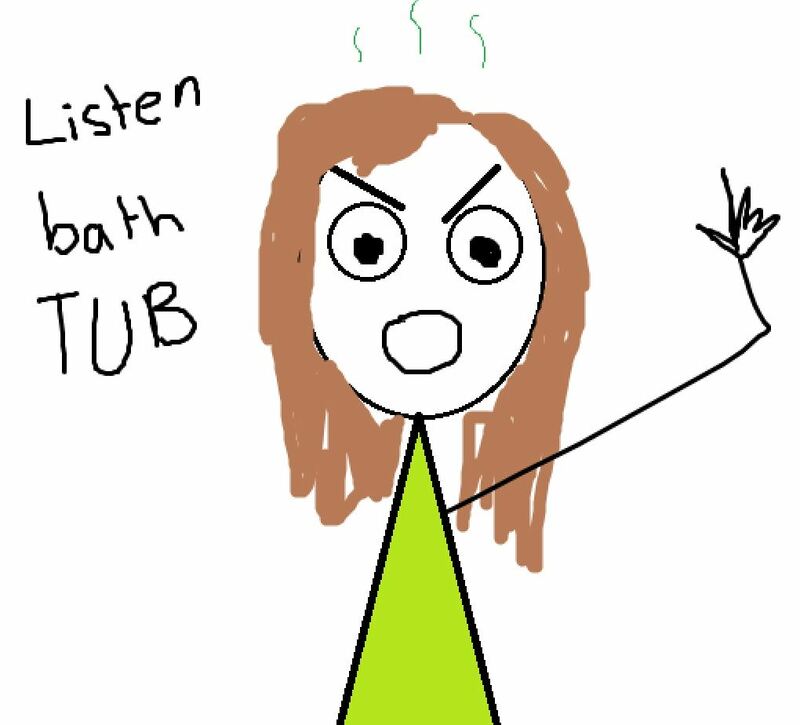 MOM: Toilets don’t talk, now go take your bath. ME: I can’t! I might anger it and then it will start yelling and the drain will open up and I’ll die. MOM: That’s not going to happen. Now GO. 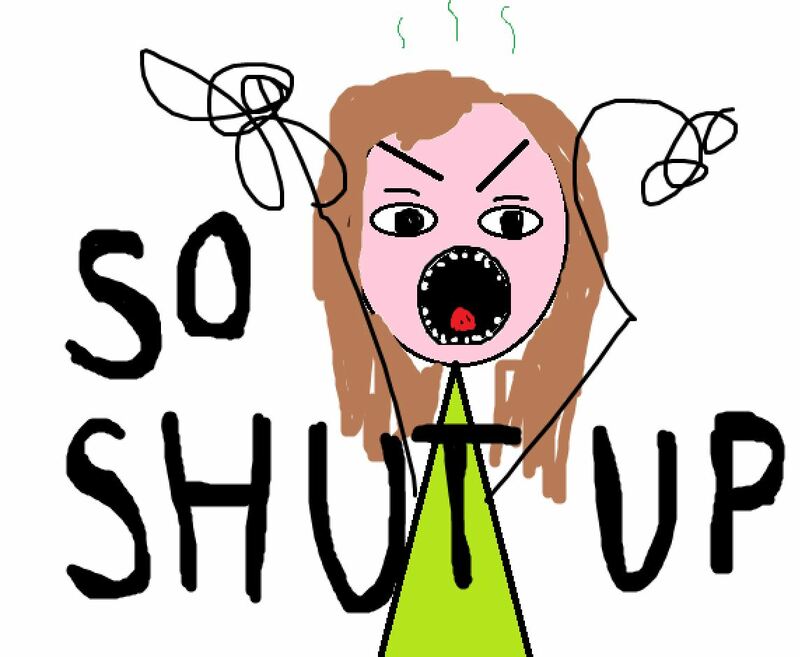 ME: You don’t even care about me! Your daughter is going to get eaten by a bathtub and you don’t even care. MOM: GO. TAKE. YOUR. BATH. RIGHT. NOW. 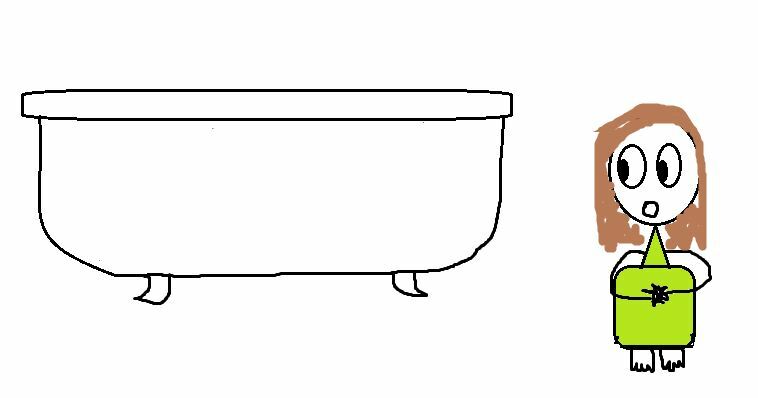 Did you ever try to take a bath while being ridiculously terrified of a bathtub? I wouldn’t wish it on my worse enemy. You sit there for a while anxiously waiting for a deep voice to say “I’m a bathtub and I will now say onwards march because the word onwards makes me go ‘OHH’ and that opens the drain real wide and then you will fall in it and drown in the dirty water.” Except I will die way before he even finishes that statement because he would have already said onwards march. It was a suicide mission basically. 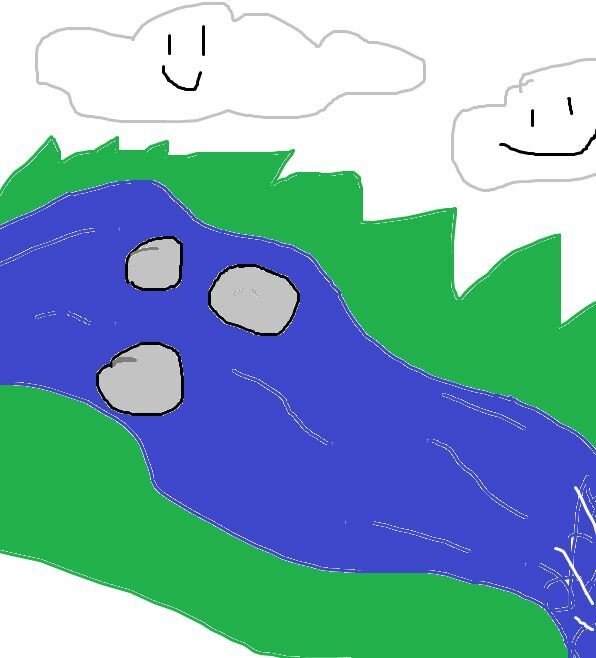 So I developed a safe bathing technique called you-think-I’m-taking-a-bath-but-it’s just-the-water-running. But then I started to smell bad. So I decided to confront my fears straight on. And not once did that bathtub speak. Row, row, row your boat gently down the . . . There is this game that’s been going on for a while. It’s actually really fun. It’s called “You’re not even American so get out of my country!”. This game is probably the most popular game in America! Politicians play it, old people play it, young people play it, and even those people that live across the street play it. All you have to do to start the game is to accuse someone with different ideology, background, or fingerprint of not being an American. Just saying that is UN-AMERICAN so that means you’re not even American!! Oh yea?? Well I’m a firefighter and I have a pet bald eagle! Oh yea?? Well I’m a Marine and I’m a direct descendent of George Washington!! WELL I’M A NAVY SEAL!!! YOU’RE A LIAR!! THERE ARE NO FEMALE NAVY SEALS!!!!!!!!! WELL I’M SOO AMERICAN THAT I BECAME ONE! WELLLLLLLLLL I’M SOOOOOOOOOO AMERICAN THAT I’M ENGLISH!!!! oh shoot. I meant like my ancestors came from England on the Mayflower . .
Soo that means I’m like a super American because I’m English . .
. . . . damn . . . I WINNN! NOW GET OUT MY COUNTRY! This game is awesome and I encourage all to play! NO PROBLEM-O. Try the cool spin-off game “God hates you, so go die!”. This game is very fun to play with people who have different religions or a different sexual orientation. Moreover, this game is suitable for ALL age groups so you can even play with children. Because why not?? It will teach them very important life values or something.